Financial literacy is a big deal. In the United States, it’s among roughly 60 official month-long observances declared by presidential proclamation. Just as February is Black History Month, May is Mental Health Awareness Month, and November is National Entrepreneurship Month, April is National Financial Literacy Month. In the wake of the global financial crisis of the late 2000s, and following years of unofficial observation and multiple state-level declarations, President Barack Obama formally recognized April as Financial Literacy Month in 2011. Why did the federal government feel the need to devote 30 whole days to financial literacy programming? For starters, because financial illiteracy is expensive. In a 2019 study by the National Financial Educators Council, the self-reported cost of deficient personal finance knowledge in 2018 was $1,230 per respondent. That’s about 2% of the 2017 median household income. If you feel like an incomplete understanding of basic personal finance concepts cost you last year, you’re clearly not alone. But financial literacy isn’t rocket science. With effort, you can overcome whatever knowledge gaps you face today and cease leaving money on the table. Start here. 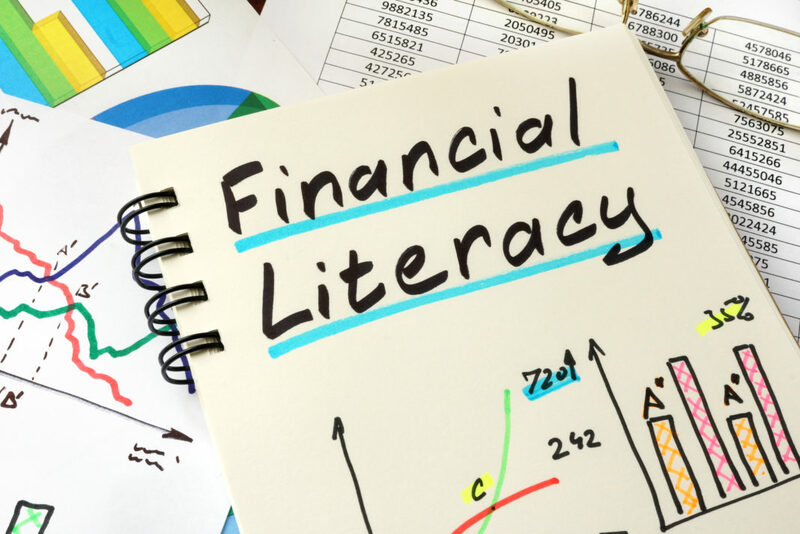 “Financial literacy” describes the knowledge and skills necessary to effectively manage your personal finances and achieve complete financial self-sufficiency. Like language literacy, where your reading grade level quantifies your competency, financial literacy is gradated. Novices have little to no understanding of even the most basic financial concepts. Intermediates grasp the basics of spending and saving but may struggle with more abstract or longer-term concepts. Experts have the knowledge and confidence to manage all aspects of their financial lives and equip others — kids, parents, domestic partners, friends, employees — to do the same. No one is born with expert-level financial literacy, and no one achieves it overnight. But that’s not to say that becoming financially self-sufficient requires years of intensive study — far from it. Here’s what you can do, right now, to begin or advance your own personal finance journey. The first step on your journey toward financial literacy is self-knowledge. Your Time Horizon. What stage of life are you in? Younger consumers’ priorities naturally differ from older consumers’. Personal Values. Consider any deeply held beliefs or values that may affect your financial behaviors. Some consumers aim to avoid debt at all costs, for instance. 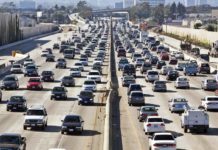 Others orient financial decisions around environmentalism, precluding luxuries like car ownership. Goals and Objectives. What are you spending and saving for? Where do you want to be in five, 10, 20 years? Risk Tolerance. Use a risk tolerance assessment to inform your investing decisions before you begin putting your money to work. The University of Missouri’s risk tolerance questionnaire is one of many examples. Credit Profile. Even if you suspect you don’t have much of a credit history, find out for sure. Go to AnnualCreditReport.com to claim the free credit reports you’re entitled to by law, then use a free service such as Credit Karma to periodically check your credit score and learn how to improve it. This is just the start. As your financial literacy improves, you’ll gain more insight into who you are as a consumer, planner, and investor. Financial literacy requires voracious information consumption. Alas, not all financial information and advice is equally valuable. Always consider the source of any financial information you consume, including information published on personal finance blogs like Money Crashers. Yes, we strive to be unbiased and informative, but our content is written by a diverse roster of authors with diverse credentials, whose writing is informed by a combination of in-depth research and personal experience. Always consider information in light of its applicability to your situation and goals. The same goes for any personal finance website, publication, or podcast, no matter how authoritative it purports to be. Be particularly wary of financial content from profit-driven financial companies, such as banks, investment firms, and credit repair agencies. For profit-driven organizations, publishing unbiased advice is secondary to selling their core products and services. They’re in the content marketing business, meaning their content is valuable to them only insofar as it increases their credibility in the marketplace. Also be wary of what’s often referred to as the “financial entertainment complex.” Cutthroat competition drives financial entertainment outlets like CNBC and Motley Fool to promote controversial, contrarian ideas at the expense of sounder — if less sensational — viewpoints. Despite obligatory disclaimers, financial entertainment outlets may present as mainstream investing recommendations that aren’t suitable for most readers or viewers, with potentially adverse consequences for those who take them as gospel. At Money Crashers, we put the fundamentals of financial fitness before all else and take a balanced, comprehensive approach to describing personal finance concepts and strategies. By contrast, sourcing information only from financial entertainment platforms — watching CNBC all day, for instance — is a sure way to distort your financial worldview. When in doubt, turn to neutral, reputable sources, especially official government agencies such as the Consumer Financial Protection Bureau and Securities and Exchange Commission, and nonprofit research universities. Always seek an assortment of opinions and advice about money matters. You wouldn’t opt to undergo major surgery on the recommendation of the first doctor in the phone book; why would you make a potentially life-changing financial decision on the basis of a single article or video? By exposing yourself to a range of financial philosophies over time, you’ll gain the perspective necessary to sort valuable information and advice from bunk and the confidence necessary to articulate your own financial philosophy. Turn to unbiased resources, including Money Crashers, to learn about foundational concepts such as compound interest, bank account types, account fees, deposit insurance, investment diversification, and the time value of money. The distinction between checking and savings accounts isn’t the most gripping topic, but every banking customer needs to understand it to avoid, say, excess withdrawal penalties for exceeding the six-withdrawal-per-month limit to which all U.S. savings accounts are bound. Look for free or cheap personal finance classes and courses that you can take in your spare time. Brigham Young University, a private higher education institution based in Utah, has a pretty robust — and free — online personal finance education vertical, for instance. Indiana-based Purdue University has retirement-focused courses applicable to a range of financial situations. If you prefer in-person instruction, your local community college or library might have free or cheap evening or weekend classes. In addition to Credit Karma, Credit Sesame is another great free credit monitoring resource. As long as you can tolerate periodic offers for paid products and services from their partners, there’s really no reason not to opt into a free credit monitoring service. It’s also wise to use a free or low-cost personal budgeting app, particularly if you’ve had trouble sticking to your budget in the past or you haven’t ever had a real budget. Mint is a popular, user-friendly option that doesn’t cost anything out of pocket; NeoBudget is a no-frills digital take on the cash-based envelope budgeting method; and You Need a Budget claims its bells and whistles save the average user $6,000 per year. Finally, consider an automated savings app — again, particularly if you’ve had trouble maintaining a steady savings rate in the past or saving at all. This space is crowded too; start by checking out Chime, which — unlike some automated savings solutions — has no monthly maintenance fees or hidden fees. Never overestimate your financial literacy. If you’re struggling to understand a particular financial product or behavior and can’t find easy, unbiased answers, steer clear until you feel more comfortable. For example, don’t open a margin account and start day trading before you understand how equity markets work; that’s a recipe for financial disaster. Rather than overestimate your financial literacy, seek guidance from people and organizations that know more than you. Use the Financial Planning Association’s free planner search tool to find Certified Financial Planners aligned with your goals and set up no-obligation consultations with each, even if you’re not yet ready to make a plan or hire an investment advisor. If you’re struggling to pay down debt, use the U.S. Department of Justice’s list of approved credit counseling agencies by state to find reputable providers in your area. If you’re preparing to buy a house or want to know what the process entails, look for a HUD-approved housing counseling organization and enroll in a class. Just remember: Don’t take the word of any one person or organization as gospel. As in investing, the key to success in building financial literacy is diversification. Ready to boost your financial literacy? We’ve gathered together pieces on each of the main financial literacy topics. Use the links to open articles that catch your eye, and remember to share your thoughts in the comments! From spending and saving to where you keep your money, learn how to handle your finances on a day-to-day basis. Learn all about near-term budgeting and saving here. 12 Steps for How to Make a Budget – Personal Budgeting Tips for First-Timers. Budget doesn’t have to be intimidating. Follow this step-by-step guide to craft a sustainable household budget. 4 Budgeting Alternatives to Meet Your Financial Goals. Traditional budgeting doesn’t always work. Learn how to apply these four alternatives to your financial situation. Understanding Why Budgets Fail – 8 Steps to Fix a Broken Budget. Learn how to shore up a budget that’s not working for you. How Zero-Based Budgeting Can Help You Better Manage Your Finances. This simple method can help you make the most of each dollar so your income aligns perfectly with your expenses. How to Stop Living Paycheck to Paycheck. It’s time to stop living hand to mouth. Outdated Money Advice – 12 Financial Assumptions You Should Reconsider. Think twice about these pieces of financial wisdom that may no longer apply today. 5 Best Money-Saving Strategies Proven to Work for Anyone. Saving money isn’t rocket science. These tips are simple and easy to follow, no matter your financial situation. How to Maximize Your Savings Rate – 12 Tips to Save More Money. Get serious about preparing for your future and building wealth with these tips to boost your savings. How Kakeibo (Japanese Budgeting Method) Can Save You More Money. Kakeibo focuses on four key questions: how much money you have available, how much you want to save, how much you’re spending, and how can you improve. KonMari: How Marie Kondo Can Help You Get Organized & Save Money. You can tidy up your finances like you tidy up your house. Read all about “Kondoing” your finances. How Swedish Death Cleaning Can Transform Your Home & Finances. Learn what this Nordic decluttering scheme can do for your financial health. Shopping Addiction & Compulsive Buying Disorder – Help for Shopaholics. Compulsive buying is no laughing matter. Learn how to recognize and treat a shopping addiction. How to Stop Overspending and Get Your Budget Under Control. Not all overspending stems from addiction. This article outlines steps you can take to quell overspending in all its forms. What Is a Spending Ban – Rules, Financial Benefits, Pros & Cons. Take things to the next level with a total ban on non-essential spending. 11 Things You Can Get for Free – How to Get Free Stuff. Who doesn’t like free stuff? Opportunities to nab free goodies are everywhere. 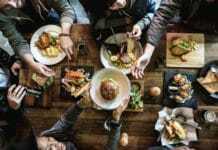 9 Ways to Avoid Lifestyle Inflation – Spending Less When You Earn More. The correlation between higher income and higher spending is real. Learn how to save more as you earn more. How to Avoid Frugal Fatigue by Splurging on These 12 Cheap Luxuries. Even the most disciplined, frugal consumers get tired of pinching pennies. These 12 luxuries make fastidiousness more bearable without seriously impacting your budget. Explore banking and legitimate alternatives to manage your money. 7 Tips to Streamline Your Bank Accounts for Easier Money Management. Don’t make banking more complicated than it needs to be. 17 Money Hacks & Tips to Save More When Banking or Buying. Use these tips to simplify your spending and near-term saving habits. 9 Reasons to Break Up With Your Bank – When Changing Makes Sense. When does it make sense to switch banks? We outline nine scenarios here. How to Use Reloadable Prepaid Cards for Budgeting and When It Makes Sense. Can you forgo a bank account altogether and use reloadable prepaid debit cards to manage your monthly budget? With discipline, it’s doable. Envelope Budgeting System – How It Works, Pros & Cons. This old-school, cash-based budgeting method has long been a viable alternative to traditional banking. Things like budgeting and saving become more complex with two people. Here’s how to navigate household finances with your partner or spouse. Financial Benefits of Marriage vs. Being Single – What’s Better? Financially speaking, what’s better: singledom or the married life? Should Married Couples Combine Their Finances or Keep Money Separate? It’s an age-old question: Should you merge finances after marriage or keep your money separate? That answer is: It depends. 18 Money Management Tips for Newly Married Couples. Avoid financial growing pains with these 18 tried-and-true tips for newlyweds. How to Agree With Your Spouse About Money & Avoid Financial Problems in Marriage. You won’t agree on everything with your spouse, but these principles will help you find common financial ground and work as a team. 6 Common Money Arguments Between Couples and How to Deal With Them. How many of these money arguments have you had with your spouse or partner? 8 Money Lies That Damage Your Finances & Hurt Your Marriage. Honesty is the best policy in marital money matters. How to Deal with a Lying Spouse – Financial Infidelity in Marriage. You’ve found out your partner is keeping a money secret from you. What do you do now? What Is a Prenuptial Agreement – Do You Need One Before Marriage? Prenups aren’t just for the rich and famous. Here’s why you might need one. What Is Common Law Marriage – States, Rights & Requirements. You might be married and not even know it. Learn about the requirements for and implications of common law marriage. What Is a Cohabitation Agreement – Why You Need One Before Living Together. You’ve heard of prenups for married couples, but how do you handle things with a long-term romantic partner? With a cohabitation agreement. 10 Steps to Switch to a Single-Income Family. A single-income family is still possible these days, but it takes some work. Here’s what you need to know if you’re considering making the switch. Make the wide and often daunting world of credit and debt less intimidating by reading these pieces. Your credit score plays a crucial role in your financial health. Learn how credit scores work and what your score means. How to Check Your Credit Score – Subscription Services & Free Monitoring. Do you need to pay to check your credit score? The short answer is no — but that’s not the end of the story. What Is a Good Credit Score – Understanding Credit Ratings & Ranges. What makes a good credit score? It depends who you’re asking. Should You Pay for a Credit Monitoring Service? – Best Options. We review some of the top credit monitoring options and determine when it makes sense to pay for this service. 8 Tips on How to Improve Your Credit Score Rating. Over time, these simple strategies could improve your credit score. 7 Ways a Bad Credit Score Can Negatively Affect You – How to Track Your Credit Score. Why is bad credit bad? We outline seven ways a subprime credit score can get you into trouble and offer some solutions. How to Rebuild & Fix Your Credit Score – 7 Steps to Follow. Use these strategies to recover from a serious credit setback. 10 Credit Score Myths Debunked – Get the Real Facts. Financially literate consumers know how to sort financial disinformation, like these credit score myths, from fact. How to Lock or Freeze Your Credit and Why You Should Do It. Learn how to freeze your credit when you’re not actively applying for new loans or lines, and when it makes sense to do so. How to Protect & Improve Your Credit Score While Married. Married consumers have two credit profiles to worry about. Here’s how to keep yours strong. How Does Bankruptcy Affect Your Credit Score?. Learn what bankruptcy means for your credit score. Spoiler: It’s not good. The credit card is the most common type of unsecured consumer debt. Here’s what you need to know to be a responsible credit card user. Advantages & Disadvantages of Credit Cards – Do They Help or Hurt You? Get an unbiased look at the pros and cons of credit cards. How Many Credit Cards Should I Have? How many credit cards do you really need? There are several factors to consider. The Real Cost of Using Credit Cards – Other Than Interest Rates, APR & Annual Fees. Even if you’re pro-card, you should know these drawbacks of using credit cards. How to Use 0% Balance Transfer Credit Cards Responsibly. Using a 0% APR balance transfer card to pay down high-interest debt can be a smart move — if you’re responsible about it. How Travel Loyalty Programs Work – Earning, Valuing & Redeeming Reward Miles. Learn how to get the most out of your credit card’s potentially valuable travel rewards program — and how to read its fine print. Does Closing a Credit Card Account Hurt Your Credit Score?. Closing a credit card account could adversely impact your credit score. Here’s how to mitigate the damage. Dive into the dizzying array of debt products available to financially literate consumers and learn how they work. What Is Compound Interest – Definition, Formulas & Obstacles. Compound interest directly affects your borrowing costs. Understanding it is essential to true financial literacy. Understanding Federal Student Loans – Types, Repayment & Deferment. From types of loans to repayment options, here’s an overview of how federal student loans work. Understanding How Student Loan Debt Affects Your Credit Score. Even well-managed student loan debt can affect your credit score. Learn how to mitigate the impact. What Is a Personal Loan – Pros & Cons of Getting One. Should you apply for an unsecured personal loan, rather than a credit card or secured line of credit? We weigh the pros and cons. 7 Reasons to Get a Personal Loan – Benefits & Things to Consider. Personal loans aren’t for everyone. Here’s how to determine if they’re right for you. 6 Tips to Get Approved for a Home Mortgage Loan. Planning to buy a house in the near future? These strategies could increase your loan approval chances. What Is an FHA Mortgage Loan – Requirements, Limits & Qualifications. FHA mortgage loans offer key benefits for first-time homebuyers with limited capital, but they have some major downsides too. What Is a VA Home Loan – Mortgage Eligibility, Benefits & Limits. If you or a family member have served in the military, you may be eligible for this unique type of mortgage loan. FHA vs. VA vs. Conventional Mortgage Loans – How Are They Different?. Learn the benefits and drawbacks of these three types of mortgage loans. USDA Home Mortgage Loans for Rural Development – Eligibility Requirements. For qualifying rural homeowners and homebuyers, USDA loans offer fantastic benefits. How to Get a Mortgage Loan If You’re Self-Employed With Fluctuating Income. Irregular income makes budgeting hard enough. Qualifying for credit when you’re self-employed often feels impossible. These strategies may help. Cosigning a Loan – Understanding the Reasons & Risks. If you have good credit, should you assume the risk of cosigning a loan for someone who might not otherwise qualify? Learn more here. These articles can help you manage and reduce existing debt loads. How to Get Out of Credit Card Debt Fast – 5-Step Pay-Off Plan. If you’re overwhelmed by credit card debt, read this. What Is Credit Counseling – How Debt Management Plans Work. Credit counseling services offer a new perspective on managing debt and may help you reduce your balances faster. But be on the lookout for predatory lenders. What Are Debt Consolidation Loans – Benefits, Risks & Alternatives. Learn when it makes sense to use a personal loan for debt consolidation and when you might want to pursue other alternatives. 16 Ways to Reduce & Avoid Overwhelming College Student Loan Debt. These tips may help you get a handle on your student loan debt. How to Refinance Private and Federal Student Loans – Pros & Cons. Should you refinance your student loans? We weigh the pros and cons. Public Service Student Loan Forgiveness – Program Eligibility & How to Qualify. Public Service Loan Forgiveness is a godsend for loan-laden graduates with qualifying jobs. Learn about its benefits and potential tradeoffs. Pros & Cons of Paying Off Your Adult Child’s Debt & Loans. Should you give your adult child the gift of a fresh financial start? We weigh the arguments for and against it here. 7 Steps to Rebuild Your Finances & Credit After Bankruptcy. Recovering from bankruptcy is a long road. Start here. Should I Pay Off My Mortgage or Student Loans First? Determine whether it makes sense to pay off these debts early and, if so, how to prioritize them. 5 Ways to Pay Off Your Home Mortgage Loan Early. If you’re trying to own your home free and clear before your mortgage term ends, consider these strategies. 4 Good & Bad Reasons to Refinance Your Home Mortgage Loan. If you’re going to refinance your home loan, do it for the right reasons. How to Stop & Avoid Foreclosure on Your Home. Foreclosure can be a disruptive, humiliating experience. Learn how to avoid it, no matter how dire your financial straits. Explore these income-boosting opportunities and strategies to help shore up your budget and make it easier to plan for the future. 6 Popular Side Gigs Reviewed – Best Ways to Make Extra Money. Renting out your spare room, driving for Lyft, and more — find out if any of these side gigs are for you. How to Become a Freelancer – Types of Work, Pros & Cons. If you’re intrigued by the freelance life, read this to learn what it does — and doesn’t — entail. Online Freelancer Guide – How to Find Gigs & Earn More Money. Think of this comprehensive guide as a road map to freelancing success. 14 Best Freelance Websites to Find Jobs Online. Use these reputable websites to find one-off and long-term freelance work online. Driving for Ride-Sharing Apps Like Uber & Lyft – How It Works, Benefits & Drawbacks. Here’s what you need to know before you sign up to drive for a ride-sharing app. How to Start Your Own Side Business While Working Another Job. If you’re not quite ready to cut the employment cord and work for yourself full-time, this guide can help ease the transition. 9 Passive Income Stream Ideas & Opportunities to Make Money. Want to earn money regularly without taking on an extra job? Learn what it takes to create a passive income stream for yourself. Tax Benefits of Real Estate Investment Properties – IRS Rules Explained. Real estate investing is a popular passive income opportunity with significant tax benefits. This article sorts myth from fact. Start here for guidance on financial planning and related concepts, such as taxes and goal-setting at different stages of life. 7 Types of Financial Advisors & Professionals and When to Hire Them. Financial professionals don’t all fit the same mold. Learn about seven distinct types and their core functions. Choosing a Financial Planner vs. an Investment Advisor – What’s the Difference?. You might need both, but maybe not at the same time. How to Find & Choose a Financial Advisor – 7 Things to Consider. Use this guide to evaluate financial advisor candidates and narrow down your choices. Why You Should Hire a Certified Financial Planner – Benefits. Learn more about the benefits of using a Certified Financial Planner to realize your long-range financial vision. 6 Ways to Protect Yourself From the Effects of Inflation & Loss of Purchasing Power. You don’t need a financial planner or advisor to implement these inflation protection strategies. What Do Rising Interest Rates Mean for You? – Effects & How to Prepare. While you can’t control interest rate fluctuations, you can take steps to reduce their impact on your assets and financial goals. These articles cover the art and science of establishing your financial principles and setting achievable goals. 8 Financial Tips for College Students to Save and Manage Money Better. It’s never too early to start saving. If you’re a frugal college student, use these tips to get a head start on financial responsibility. Top 5 Personal Finance Tips for Recent College Graduates. These basic personal finance tips lay the foundation for a lifetime of financial well-being. Investing & Financial Advice for Millennials – 6 Principles to Build Wealth. These six principles can help you achieve financial security in an increasingly uncertain world, even if you’re not technically a millennial. 10 Lessons I Learned About Money Management as a Young Adult in My 20s. For 20-somethings, financial freedom can feel impossibly far off. But it’s never too early to start practicing sound money management. 5 Money Rules to Live By in Your 30s. Learn five principles to live by after hitting the big 3-0. 9 Ways Single Parents Can Avoid Financial Hardship After Divorce or Death. Roughly half of all marriages end in divorce. If you have minor children caught in the middle, these strategies can reduce the material impact of your split. How to Become Financially Independent Quickly Using the FI Formula. Learn about a simple but accurate calculation that reveals how long it will take you to achieve financial independence. 13 Retirement Planning & Savings Mistakes You Need to Avoid. These long-range mistakes are as common as they are avoidable. How to Plan for Old Age & Elder Care When You Don’t Have Kids. More couples than ever are choosing not to have kids, and many adults don’t pair up at all. Here’s how child-free folks can prepare for the day when they’re no longer able to care for themselves. 7 Important Financial Tips From the Bible – Verses About Money. You needn’t be religious to appreciate these commonsense bits of biblical money wisdom. How to Get Money for a Down Payment on a House – 16 Strategies & Tips. Your home is probably the biggest purchase you’ll ever make. Use these strategies to save or scrounge up funds for a substantial down payment. Remember, every dollar you put down is a dollar you don’t have to borrow from your mortgage lender. Taxes can be complicated, but you can’t avoid them. Here’s what you need to know to prepare yours. 5 Financial Moves to Make Before the End of the Tax Year. Following these strategies before the tax year ends on December 31st can reduce your burden when you file. 5 Different Types of Taxes and How to Minimize Them. Income tax isn’t the only thing Uncle Sam asks you pay. Learn about the types of taxes you might owe and how to save on them. Standard Deduction vs. Itemized Tax Deduction – What’s Better? Weigh the financial pros and cons of taking the standard income tax deduction or itemizing your deductible expenses. 12 Common Tax Filing Mistakes & Errors and How to Correct Them. These tax filing mistakes may increase your audit risk and expose you to penalties and interest. Here’s how to correct them — or, better yet, avoid them altogether. How to Pay Federal Estimated Taxes Online to the IRS. Freelancers, business owners, and many others must pay estimated taxes to the IRS. Learn how to pay yours seamlessly without writing a check. How to Calculate Real Estate Property Taxes & Appeal Your Assessment. If you suspect your property tax assessment is inaccurate, you have recourse. Start here. You never know what the future holds. Here’s how to decide how much coverage you need to protect yourself against the unforeseen. What Is Health Insurance – Definition & How It Works. Most people have health insurance, but many don’t understand how it works. Here’s your crash course. 11 Best Part-Time Jobs With Health Insurance Benefits. These employers provide health insurance coverage to employees who work less than full-time. If your full-time job doesn’t offer health insurance or your self-employed plan options are too expensive, this might be your solution. How Much Life Insurance Do I Need? – Typical Coverage Amounts. Use this guide to determine whether you need life insurance and how much. What Is Umbrella Insurance – Do I Need a Policy?. Umbrella insurance could protect you from otherwise ruinous liability claims. Learn how it works and when it makes sense. 10 Ways to Save Money on Affordable Car Insurance. Use these tips to reduce your auto insurance costs without compromising on coverage. What Does Homeowners Insurance Cover & How Much Do I Need? Protect your home and possessions without paying for coverage you don’t need. Do I Need Flood Insurance? – What It Covers & Policy Costs. Regular homeowners insurance policies don’t cover flood damage. If you live in a flood-prone area, that’s a problem. 6 Myths About Renters Insurance – Why You Need It. Do you really need renters insurance? Read this and decide. What Is Disability Insurance? – Benefits & Why You Need It. Learn about the benefits, suitability, and cost of disability insurance, which provides financial protection if you become unable to work for an extended period. What Is Travel Insurance and Do I Need to Buy It? Travel insurance reduces the financial risk associated with travel nightmares such as lost luggage, missed connections, canceled flights, and sudden illness. But is it really necessary? Read this to find out. What Is Pet Health Insurance – Cost, Policies & Coverage. Vet bills can be expensive. Pet health insurance can help, but it’s not for everyone. Here’s what you need to know. Explore the concepts and principles you must understand to make informed investing decisions. Investing as a Student: 7 Ways to Get Started Young With Under $1,000. Just as it’s never too early to start saving, it’s never too early to start investing. 12 Ways to Reduce Risk in Your Stock Investment Portfolio. No investment is wholly without risk, but these strategies may reduce needless exposure. Safe Withdrawal Rates for Retirement – Does the 4% Rule Still Apply? How much can you safely withdraw from your retirement accounts? We investigate whether the longstanding “4% rule” applies today. Sequence of Returns Risk – How It Can Make or Break Your Retirement. Learn how to mitigate the risk of a serious market downturn early in your retirement. 6 Best Investments for Retirement Planning. For retirement investors, not all financial instruments are created equal. These six among the best. 7 Worst Dangerous Investments That Can Hurt You Financially. This is the other side of the coin: instruments that most investors should steer clear of. The Rise of Virtual Financial Robo-Advisors for Your Investments – Types, Pros & Cons. Should you stick with your human financial advisor or switch to an automated investing platform? We weigh the pros and cons here. The sooner you start thinking about estate planning, the better. What Is Estate Planning – Basics & Checklist for Costs, Tools, Probates & Taxes. Think of this as Estate Planning 101 — everything first-timers need to know about the daunting world of estate planning. 10 Legal Myths About Estate Planning – How Wills & Trusts Really Work. Here, we sort estate planning myth from fact. How to Write and Update a Will – The Process You Need to Know. Learn how to express your final wishes in a legally binding document and update that document as your personal circumstances change. Intestacy Rules & Laws – What Happens When Dying Without a Will. Most Americans die without a will. Here’s what happens next. What Is a Trust Fund – How It Works, Types & How to Set One Up. “Trust fund” is often seen as a pejorative term, but guaranteeing income to an entitled kid is far from its only function. Estate & Inheritance Tax – Threshold, Rates & Calculating How Much You Owe. Are you liable for estate tax? Most Americans aren’t, but other taxes may apply to assets distributed from deceased taxpayers’ estates. What Is the Gift Tax – IRS Rules, Rate & Maximum Exclusion Limit. Learn about the gift tax, which may limit what you’re able to distribute to your heirs before and after your death. 5 Legal Facts You Need to Know About Incapacity Planning. Difficult as it is, you must plan for the day when you’re unable to make legal decisions for yourself. How to Talk to Your Aging Parents About Estate Planning & Advance Care – Questions to Ask. Don’t put off having these legal and financial conversations with your parents. What to Do When a Family Member Dies – Estate Settlement & Probate Process. Nothing can prepare you for a family member’s death, especially if it’s unexpected. This article can help you navigate the legalities and logistics of paying for their final expenses and distributing their assets. Not sure how or when to talk about money with your kids? Start here. 5 Tips to Use When Teaching Kids About Money and Finances. Impart financial wisdom to your youngsters with these five strategies. 20 Ways to Teach Kids How to Save Money Responsibly at Any Age. No matter how old your children are, it’s never too early to teach them the importance of saving. 8 Habits to Avoid When Teaching Kids Financial Responsibility. Don’t fall into these tempting but counterproductive financial education traps. How to Build Credit for Your Kids While They’re Young – What to Do & When. Helping your kids build credit as teenagers instills sound financial habits and gives them a leg up when they’re off on their own. 25 Ways to Teach Your Kids About Gratitude This Thanksgiving. No matter how modest your financial circumstances, you can make sure your kids understand how fortunate they are. How to Avoid Raising Spoiled Kids – Signs of Entitled Behavior. Is your kid spoiled? Watch out for these warning signs, and if the answer is yes, learn what you can do to set things right. Financial scams are far too common. Learn how to spot them ahead of time and seek redress if you’re a victim. 7 Government Imposter Scams to Watch Out For. Some of the savviest financial scams prey on our inherent trust of government employees. Learn how to spot “government” outreach that doesn’t seem quite right. How to Avoid Bait & Switch Advertising Scams Offering “Free” Stuff. Equip yourself to resist offers that seem too good to be true. How Payday Loans Work – Biggest Dangers & 14 Better Alternatives. Payday lending isn’t an outright scam, but it’s inherently predatory and almost never appropriate, even for unbanked consumers with poor credit. Mortgage Relief & Loan Modification Scams You Should Watch Out For. Learn how to spot common home loan scams likely to leave you worse off. Why You Should Stay Far Away From Tax Refund Anticipation Loans (RALs). Tax Refund Anticipation Loans are tempting but rarely necessary. Here’s why. How to Spot & Avoid Predatory Lending (& What to Do If You’re a Victim). Predatory lending practices come in many forms. Here are the most common and how to seek recourse for them. What to Do If You Suspect You’re a Victim of Identity Theft. Learn how to recognize and protect against identity theft, as well as what you can do if you’re a victim. How to Prevent & Avoid Child Identity Theft – Protection For Your Kids. Children are vulnerable to identity theft too. How to Deter Thieves and Avoid Getting Mugged. Learn how to protect your cash, credit cards, and identification documents against physical theft. How to File a Complaint With the Consumer Financial Protection Bureau (CFPB). If you suspect you’ve been victimized by an unscrupulous or predatory financial institution, your best course of action may be to file a complaint with the CFPB, a federal agency charged with protecting consumers. These sundry topics are no less important for failing to fit into the categories above. 9 Places to Find Missing Money – How to Search for Unclaimed Funds. You may have a legitimate claim to dormant funds held in pension plans, escrow accounts, and employers’ payrolls. How to Get Help with Paying Rent – Assistance Programs & Resources. Use these formal and informal resources when you’re unable to pay rent. What Is FDIC Insurance? – History, Coverage, Limits & Rules for Banks. Learn about the Federal Deposit Insurance Corporation, which insures certain bank account deposits up to legal limits. What Is SIPC Insurance? – Coverage for Your Brokerage Account. The Securities Investor Protection Corporation provides some financial protection for assets held in brokerage accounts, though it’s not as comprehensive as FDIC insurance. It bears repeating: Financial literacy is a journey, not a jaunt. The above list is only a portion of the articles we offer on various financial topics — and comprehensive as we strive to be, we don’t claim to offer the last word on every single financial topic out there. The best thing you can do for your personal financial literacy is to become a voracious, educated consumer of finance-related content. As you increase your information consumption, use your existing value system, personal circumstances, and life goals to inform your opinions and objectives. And don’t be a stranger. We’re here to help you become a smarter, more confident consumer.